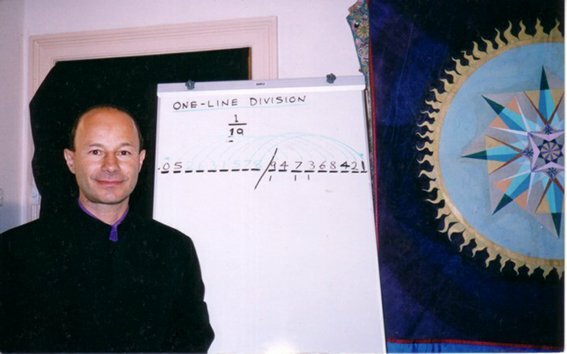 Teacher and author of 30 fascinating books some beautifully hand-written in calligraphy and creator of 10 dvds, Jain has always been drawn to the spiritual and mystical… he is fascinated by numbers and shapes. The main theme of his life’s work is “The Translation Of Numbers Into Atomic Art”. Teaching the Beauty of Numbers, often to dyslexic or special needs children, Jain’s math enrichment classes are highly in demand. 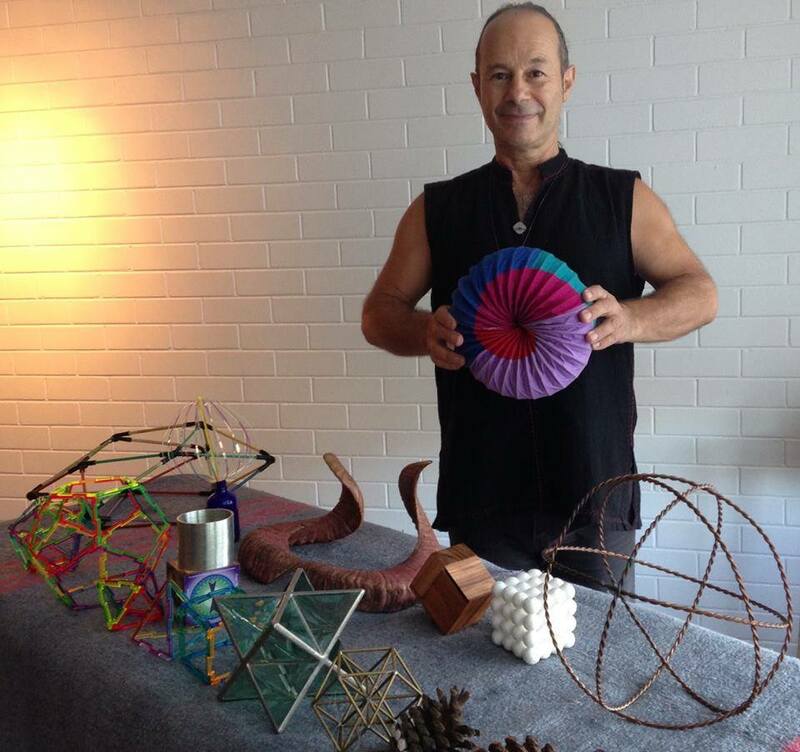 Jain… was born in Sydney to Lebanese/Phoenician parents; he has enjoyed a lifetime involvement with the Fibonacci Sequence and the 5 Platonic Solids which taps into the highly visual hemisphere of the Right Brain. His work with Rapid Mental Calculation, sometimes known as “Vedic Mathematics” a 2,500 year old Indian system of Mental Arithmetic empowers students to perform mental calculations, in many cases… quicker than a calculator. 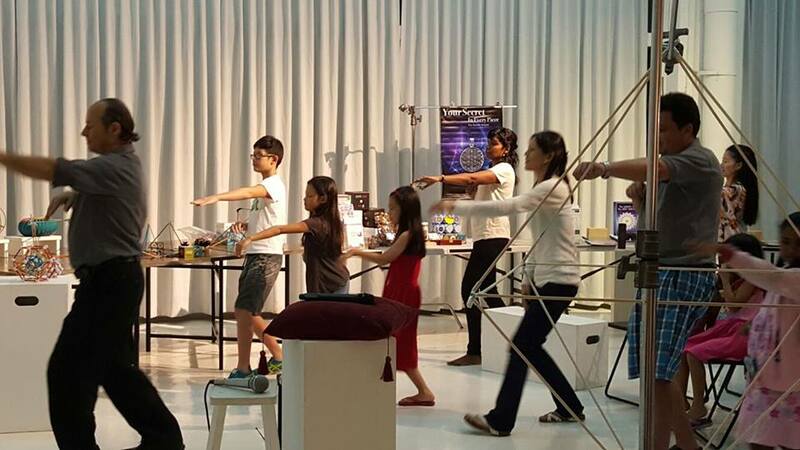 For almost 35 years, Jain has been devoted to the collection and theatrical education of Magic Squares, Magic Cubes and the Golden Ratio (PHI). 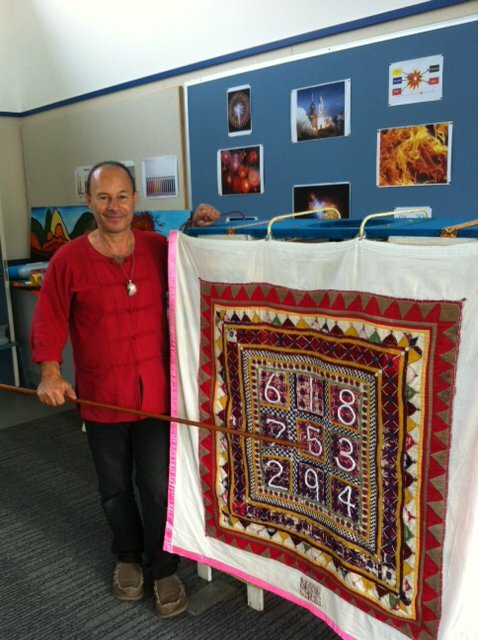 In 1995 Jain taught Magic Square Art-forms to a conference of 100 math teachers at the Southern Cross University in Australia. 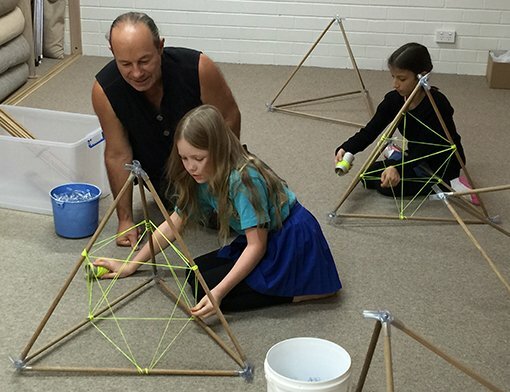 He has been guest speaker at school Mathematics Camps, many Public Schools, Catholic Schools, Rudolf Steiner and Montessori Schools who have employed him to rekindle the beauty of mathematics. People all over the world have expressed interest to study with him. With Jain you will explore ancient hidden mysteries and discover how our human body is in resonance with the Living Mathematics of Nature. You will find out about secret codes concealed in the Gayatri Mantra, the most famous Eastern prayer for Enlightenment. Jain is known in the mathematical world as the re-discoverer of the infinitely repeating 24 Pattern in the Fibonacci Sequence that sums to 108. He has pioneered and popularized the current western fascination with sri 108 and wisdom of its meaning. He will help you discover Sacred Geometry; Math’s as Art, Math’s as Science and Math’s as History. 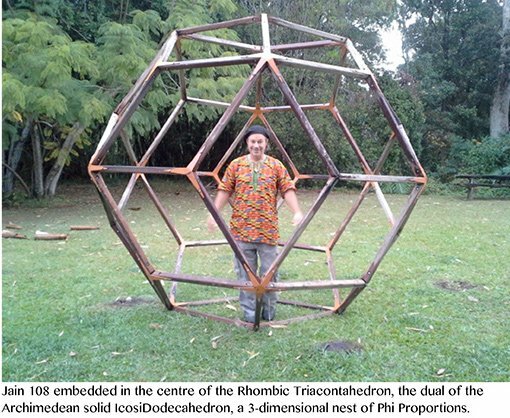 Sacred Geometry is relevant to many disciplines such as Architecture, Engineering, Art, Design, Science Healing, Nutrition, and of course, Mathematics. 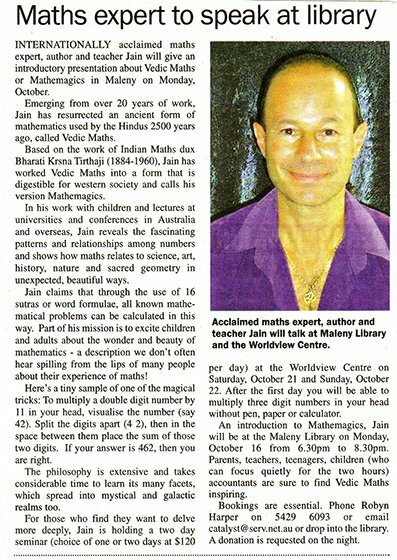 Jain is one of very few people in the world who can teach ancient knowledge to this level, his popular workshops ‘The Universal Formula For Life’ and ‘Lost Secrets of the Phi Code’ are designed for adults and his workshops for young students are called “MatheMagics for Teens”. Recently Jain has been teaching at the Global Conference of Feng Shui and Sacred Geometry in California (August 2004). In September, he held a 4 Day Mystery School in Boulder, California at the foothill of the Rocky Mountains. 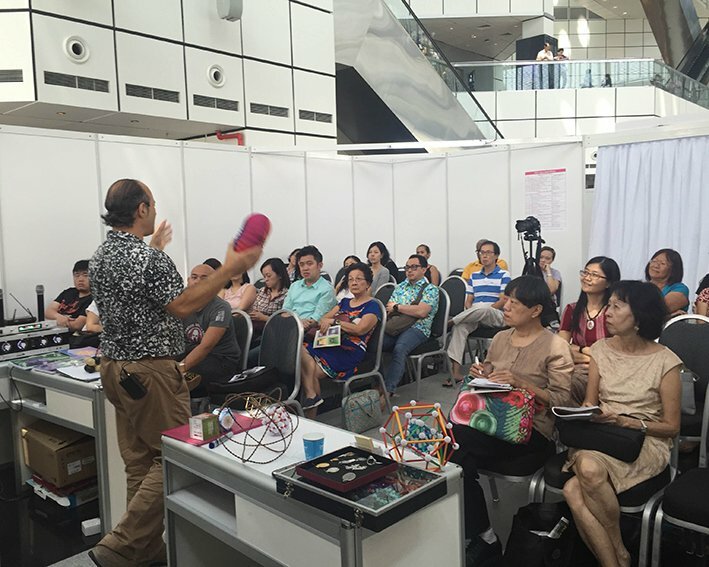 On returning to Australia, he was a guest speaker at the International Nexus Conference held in Brisbane from the 24th September where he ran 2 days of Seminars. Due to his popularity in America, Jain visited there twice in 2005. Many people there ask him what his religion is. He replies that he is a Sufi, one that embraces all “isms” in the sense that we can not belong to any religious organization or cult, as each religion, whether be it Buddhist, Moslem, Christian, Hindu etc gets lost in dogma, false eliteness, ego and spiritual limitation. Thus Jain has evolved a beautiful Universal Meeting Place via the world of Numbers. Jain is also concerned about the “No Child Left Behind” bill that was passed by the US Congress, where schools are punished by withholding Federal Funding if children do not pass certain standard tests or exams. This “dumbing down” of children’s intelligence means that the teacher will be so busy meeting certain agendas that there will be no time for Free Thinking or extra-curricula activities. The Bill to put children on Prozac, if they got less than 50% in their tests, has been shelved in the USA, but it is still there waiting to reappear. 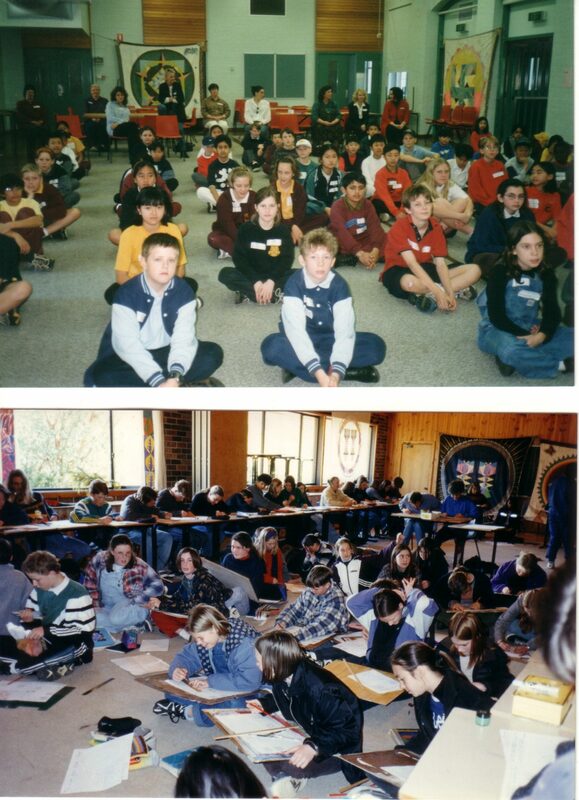 Jain is actively awakening teachers in Australia about the horrid use of Ritalin (a dangerous amphetamine like speed or crystal meth) that is given to our children here). In the Australian Educational Curriculum there is a clause that clearly states that spiritual content is part of the curriculum. Even in the Mathematical Curriculum there are clauses where the Mathematics of Nature, like the Fibonacci Numbers, are encouraged to be taught. These are the gems that our forebears have left us, to share Ancient Knowledge and teach mathematics in all it’s essential Beauty. a numerical nomad and a digital genius. Some of his colleagues describe him as a mathematical monk. He hails from a quaint Sydney suburb Kirrawee, born in Australia from full-blood Phoenician stock, ne 1957. His great grandfather in a remote village of Lebanon was a priest from which his mother derived her maiden surname “Khoury”. Collin Nicholas Saad aka Jain has had likeable and resonant long-time associations with Mar Charbel, a humble Lebanese priest from circa 100 years ago now ordained officially as a saint of the Roman Catholic Church. But we suspect that Jain hails from a noveau kind of ministry, one that he has termed in his voluminous writings as “Sacerdos Libri Naturae” apparently = “a Priest of the Book of Nature” a numerical nomad and a digital genius. “Everytime I have gone to study at any institution a certain mishap has happened. For example, 20 years ago I wanted to study Yogic Bandas and Pranayam, to be a Yoga Teacher at the Satyananda Ashram. We would get up at dawn to start practices, and very early in the month course I slipped on the dew-wet steps whilst descending, and hurt my back. I was therefore unable to continue with this program”. “I understand also from the aftermath of many public lectures, that it is not the academic content of what you are teaching that is really of utmost importance, I notice that when people are buying my books and dvds, they are really purchasing a Memory of my Passion…So I teach therefore to pursue only what it is that is closest to your Heart. Then this will create a bridge from the Mind to the Heart. When you are doing your Passion, you are being Authentic”. Currently many Vedic scholars are claiming that Jain’s realization into the Number 108 are original and unique. It appears that he is the first scholar to actually explain why the world for thousands of years have been mindlessly revering this Number 108. Jain can explain why in full and simple detail. Jain has met with certain Swamis of Malaysia, and they have confirmed that the Vedic Scholars hid their Knowledge in Songs, like the Gayatri Mantra which has a rhythm or pulse or meter of 24. Now what mathematical entity embraces both the number 24 and 108. It is of course the Compressed Fibonacci Sequence. You will need to do a day seminar with Jain to fully understand how amazing this discovery really is. Ultimately, all Knowledge is for Sharing. Jain was asked by one of his students attending a seminar, and asked if he had to summarise, in one word, the essence of the Knowledge on the Divine Phi Proportion and the related Fibonacci Sequence, his answer was: “SHARING”. If you meet someone who can not share, steer away. If the group you are involved in has secret and confidential knowledge, that is, if it is not shareable, then do not align with them, actually be cautious, and practice discernment, because if a person or group can not “Share”, then the Knowledge that they are withholding has no value. Only when Knoweldge is shared, freely, does it have true value”. (This “Shareability” is the key to wavelengths travelling inter-dimensionally, without being destroyed, this “compressibility” is no different than the sharing of your genes and dna that allows your natural fertility to guide you towards generational immortality by sharing your dna essence to your child, grandchild, great-grandchild etc. It is mathematically expressed by the Fibonacci Sequence, that the greatest scientists are using on the planet, using the Gift of Fractal Compression, a huge secret, to make huge mega files travel compressedly as infinitely small files, thus not-destroyed, but its shape is transformed recursively. 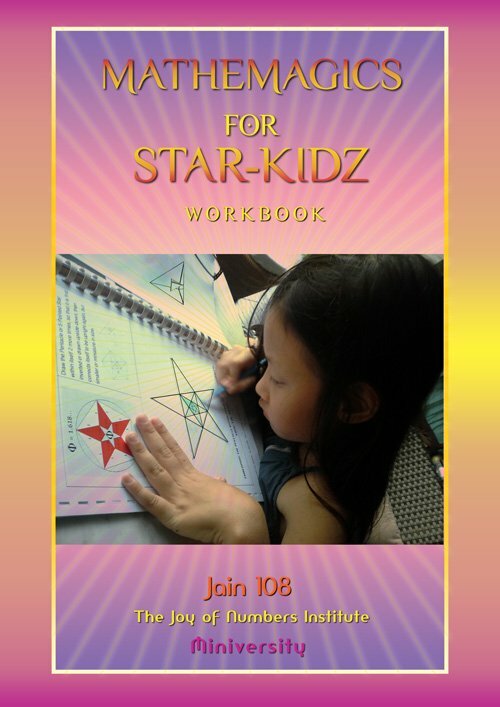 All this secrecy is hidden in the 108 which is truly the Living Mathematics of Nature). “But remember that you have all this secret and confidential knowledge in your Dna. There is nothing to seek or quest, as it is all within”. The circular necklacing of one word: “Earth”, which is his most famous and simplest poem, looks like this: “EarthEarthEarthEarthEarthEarthEarth” so then when it is read, you see the word: “HeartHeartHeart” etc which is now known as “EarthHeart”. It is on the front cover of most of his publications, and acts as a Logo. Many other poeple now are using it. When you look closely at this “EarthHeart” poem, it can also read: “HearTheArt” “HeartTheArt” “HeartTheArt”. “Inner Peace = World Peace” a slogan developed by Jain, painted on his vehicle in 1988 and now used worldwide. In Australia, Jain was the first person to legally have a single first name, “Jain” no surname, in 1984, after his first near-death experience after a hired killer plunged a knife through his chest/heart chakra. Jain is the first person in the world to adopt a numerical surname. His official surname or last name is “108”. Jain has also devoted his life to explaining the deeper meaning of Shri 108 and is well respected by the Indian communities for educating them about the lost mathematical origins of this anointed number and how it essentially relates to the living maths of Nature. Jain was the first to create a Theatre Of The Holy Numbers, specifically teaching children the wonder of Magic Squares via Theatre, dancing digits, and sacred geometry. 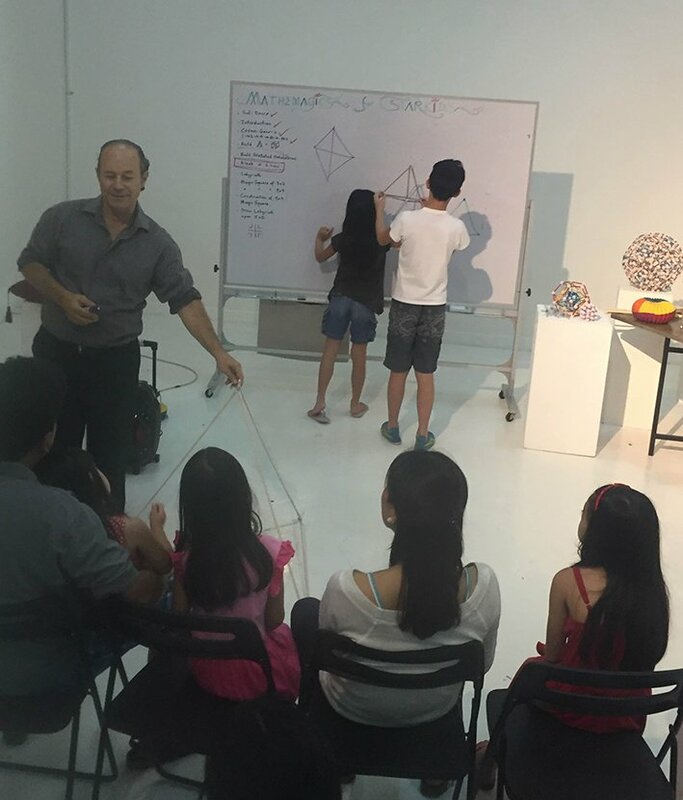 Jain is the first to organize specific classes on Mathemagics and Rapid Mental Calculation that combines both the Parents and the Teenager or Junior Child. Jain is the first in this century to teach the lost art of what he calls Magic Fingers, (or Finger Computation, or Handy Maths) demonstrating how a child can learn how to do their 6 times, 7 times, 8 times and 9 times table tactilely on their fingers, in 10 minutes, in contrast to the standard 2 syear that it would normally take in any government or private school. JAIN MATHEMAGICS 5 DAY SEMINARS. 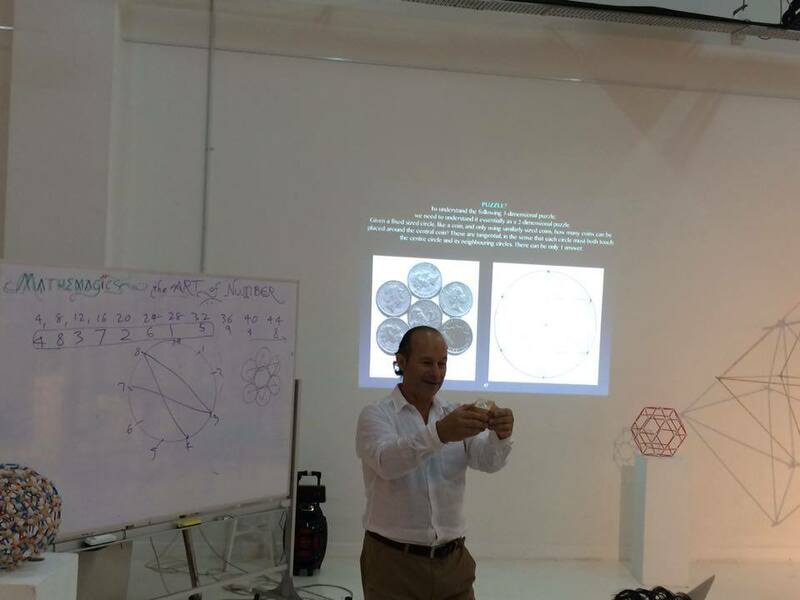 Magic Squares, the 5 Platonic Solids and the Golden Mean. The NEW MILLENNIUM GLOBAL CURRICULUM in LEADING EDGE MATHEMATICS. Discover the Secret Language of the 3 PHI CODES that each sum to 108. The ART OF NUMBER: Translating Number Into Sacred Symbols. Rare and never published before material to share and Inspire. Beautifully hand-written books drawn at times of fasting. Towards the Fibonaccization of the Human Species. 24 Triangular Vectors of the Cuboctahedron. The Mathematical Art of Bending Time.